ST. LOUIS (AP) — Koda Glover rewarded his manager’s faith. The Nationals won for just the third time in their last 10 games and snapped the Cardinals’ season-high, eight-game winning streak. Harper drove in the game’s first run with a double in the first and knocked in two more with a bases-loaded single in the fourth to give the Nationals a 4-1 lead. The Cardinals got within one in the sixth. After DeJong and Kolten Wong came up with back-to-back, two-out RBI hits, Harrison Bader hit a slow grounder to third. 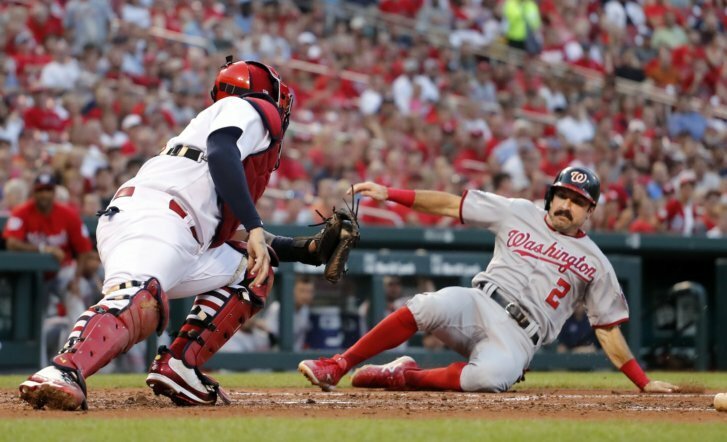 Anthony Rendon’s throw to first got away from Ryan Zimmerman for an error, allowing Wong to score from second to cut the Nationals’ lead to 5-4.